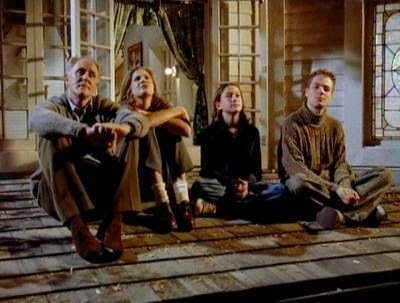 My daughter has been asking my husband for a while now if we can all sit out on the roof of our porch (through her bedroom window, of course,) so we can watch the stars. Last night was relatively warm, so we all climbed out her window, got comfy, and watched the sky. In addition to stars, satellites and shooting stars, we also heard some of our neighbors whooping it up on a Friday night. 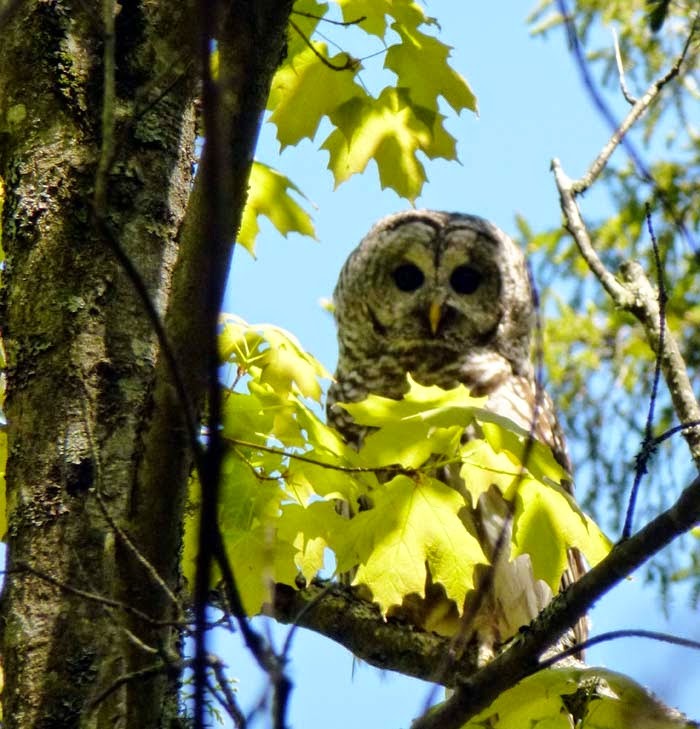 Last night we also heard several barred owls "hooting." Hoot really isn't the right way to describe the sound these owls make though. The Cornell Lab of Ornithology describes their call as "Who cooks for you? Who cooks for you-all?" It's really amazing to hear them calling back on forth to one another so close to the house. It's so nice just to sit out there and not have to listen to traffic. Mackinac owl picture courtesy of Zach Coston, coyote courtesy of northamericanwhitetail.com, 3rd Rock From the Son is owned by The Carsey-Warner Company. WOW Liz! I had no idea coyotes were on the Island! Now I'm freaked out to go into the woods, LOL! I LOVED listening to that owl! That was so cool! Bravo to your daughter for getting the family out there. Sounds like great fun.